Bluenose is a classy daysailer, built in the late 1970's by McVay in Halifax, Nova Scotia from famed schooner designer Roue. Newly awlgripped black topsides, tan non-skid decks and cockpit, black bottom paint. New main. Full keel with 3'10" draft. Varnish condition highly maintained. Bluenose is a responsive, exciting daysailer in sail away condition. She is a real head-turner. Hi, David. 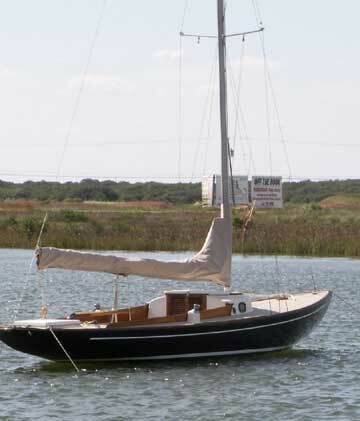 Just wanted to know we finally sold our little Bluenose 24' sloop through your ad site. We must have had about 50 inquiries during the ad cycle. We want to thanks you and commend you on a very helpful, active service. Thanks, again.